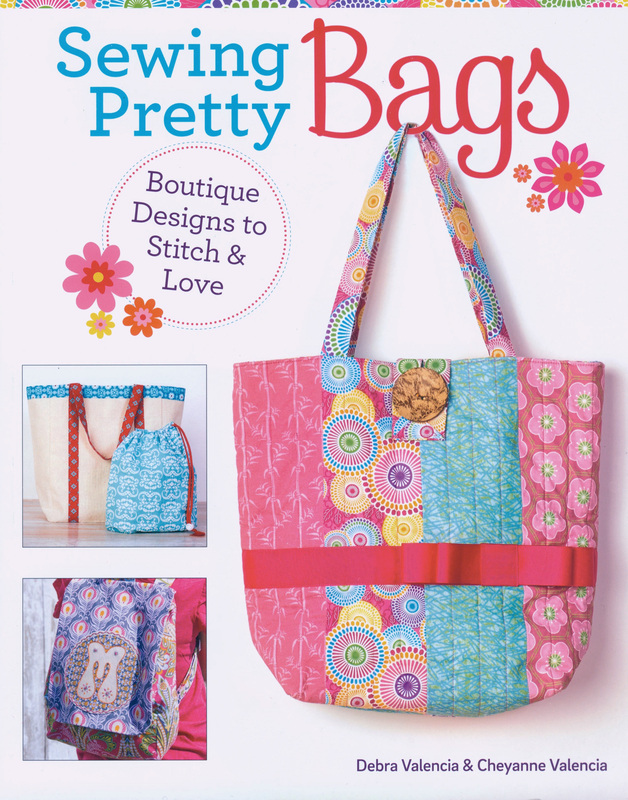 The other day I received a complimentary copy of a brand new craft book, “Sewing Pretty Bags” by Debra Valencia and Cheyanne Valencia. I was thrilled to see my own fabric, Blooms & Berries, manufactured by Robert Kaufman, featured on the cover! Sisters and sewing partners, the Valencia’s put together this fabulous book packed full of fun sewing and craft projects using modern fabric collections from fellow textile designers. Debra Valencia is a textile designer who has created fabric collections for some top textile manufacturers that are sold widely as quilting and craft fabrics. Cheyanne, sewing project designer for the book is an expert in sewing and needle arts. The project they created with my fabric collection is called “Stylish Grocery Tote Set”. Congratulations Debra and Cheyanne on the release of your first craft book and thank you for including my fabric collection! 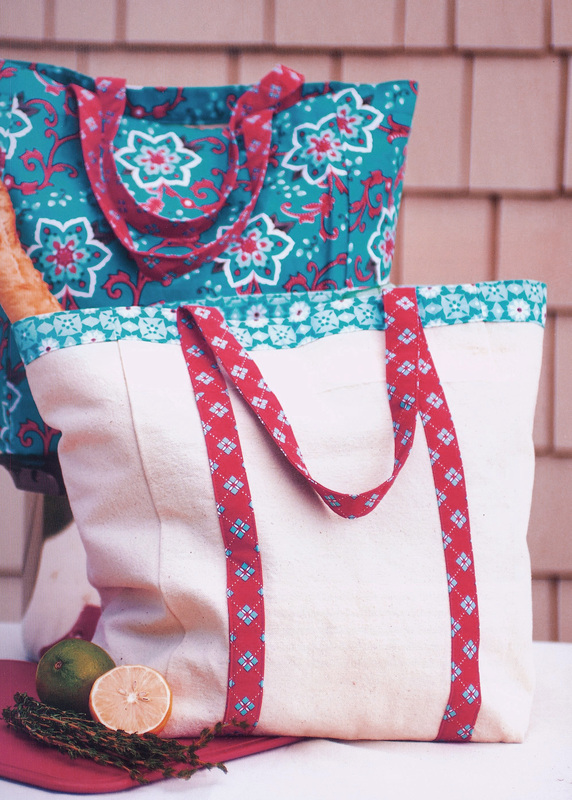 Upper left hand photo: Stylish Grocery Tote Set using Blooms & Berries fabric collection. This entry was posted in craftsproject, fabric, florals, sewing and tagged craftbook, floral, prettybags, publishing, sewingcraft, textiledesign, textiledesigners. Bookmark the permalink. ← Giddy Goats Prancing! New Spoonflower contest entry.